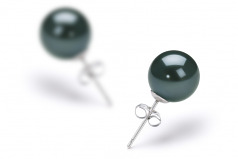 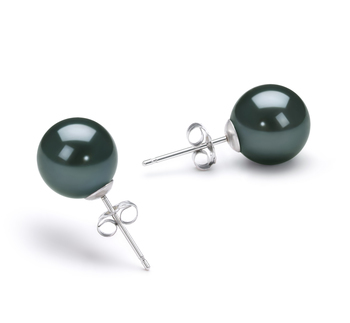 Sensational in appearance, the classic 8-9mm size of the Japanese Akoya Pearl is perfect fit for any set of earrings. 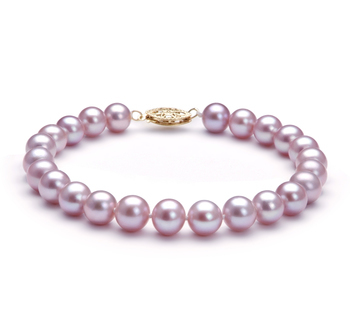 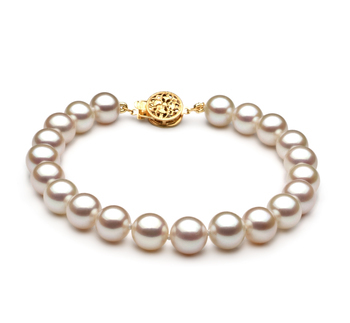 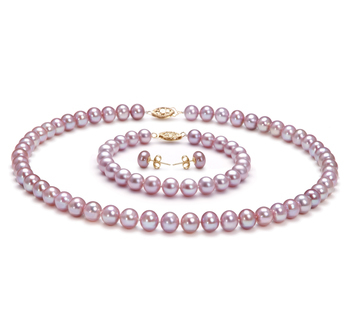 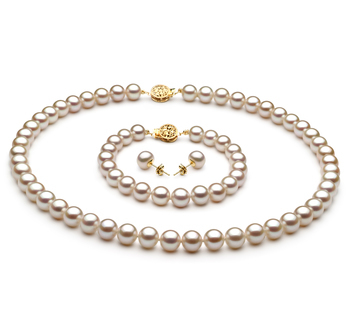 Dark, mysterious and mystical by nature the history of the Japanese Pearl is the setting that dreams are made of. 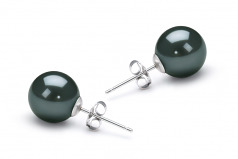 The slightly out of round shaped and equally graded mirror like lustre bring the mystery to the front of the line in their elusive quest to remain a shimmering and stunning set to be worn with the little black dress that is meant to drawn the attention and keep the conversation going. 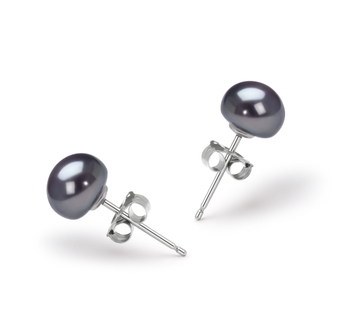 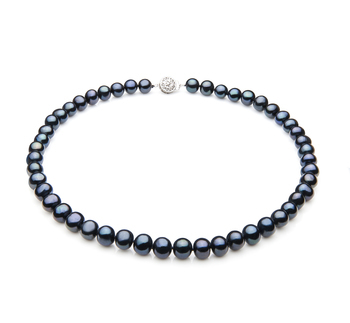 The elegant and classy black Japanese Akoya Pearls are set in sterling silver with butterfly backs to ensure your secure and comfortable fit.